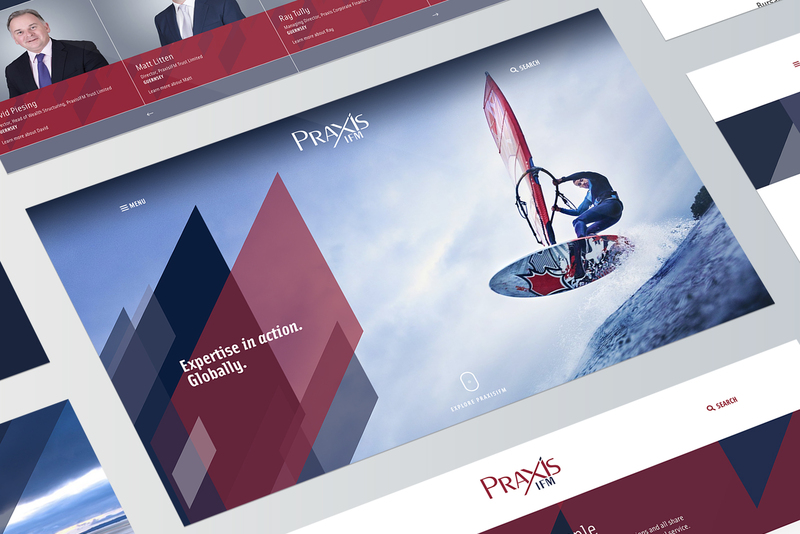 Following a multi-agency pitch in January 2018, we were successful in winning the worldwide marketing account for PraxisIFM. 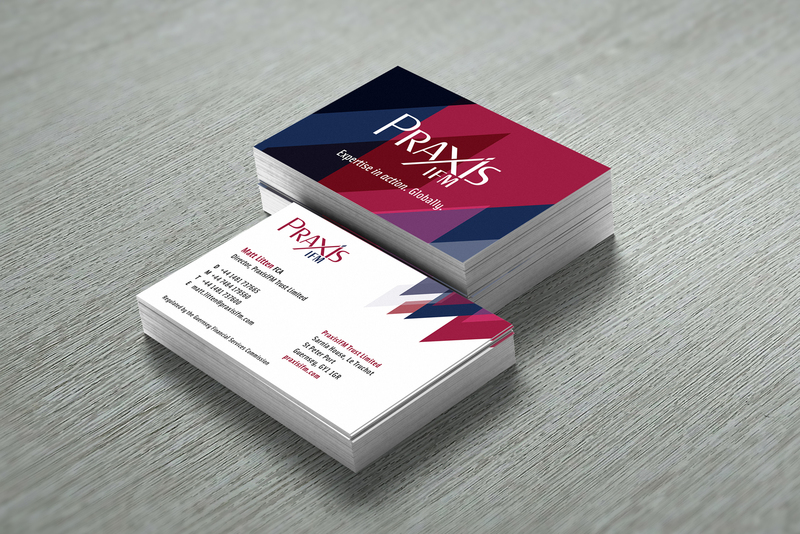 Dynamic and relationship-driven, PraxisIFM is a global group of companies providing a wide range of bespoke professional services to private individuals, families and international corporate clients. 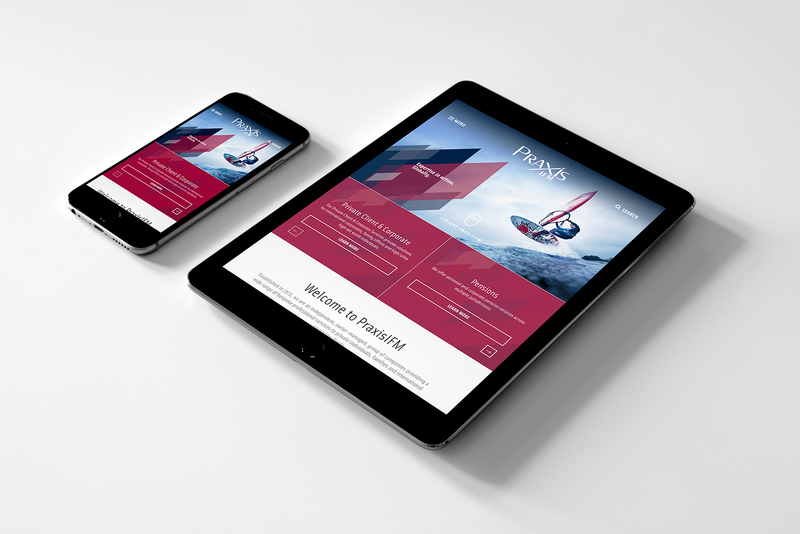 After a sustained period of continued growth, PraxisIFM felt the time was right for a rebrand, new website and fresh marketing collateral to reflect the company’s evolution. With a tight deadline, we got straight to it. 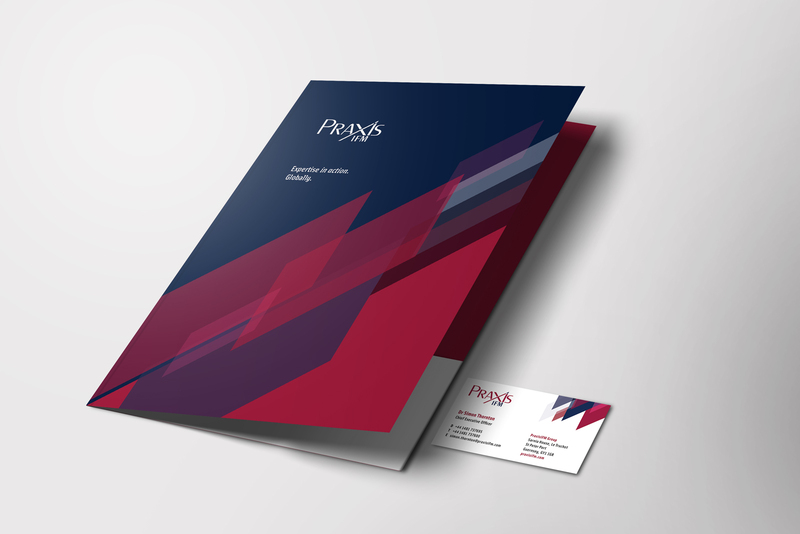 Working to the word ‘evolution’, we produced a refreshed corporate identity which reflected PraxisIFM’s forward momentum. 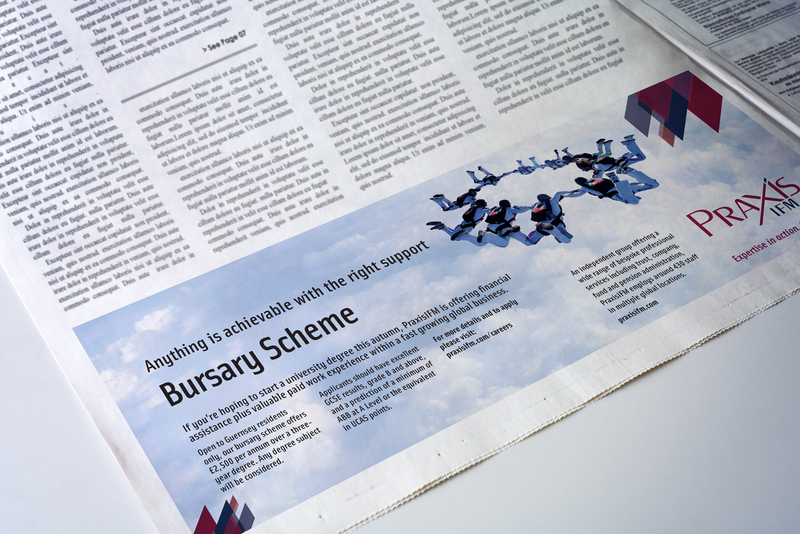 The new corporate identity consisted of a sharper colour palette, enhanced logo and hosted a ‘dynamic angle’, a graphical device used to support the company’s strap line ‘Expertise in action’. Derived from the shape of the dot on the ‘i’ in the logo, the graphical device would then be used to house type, images or form the structure of a communication across all print, digital and marketing collateral. 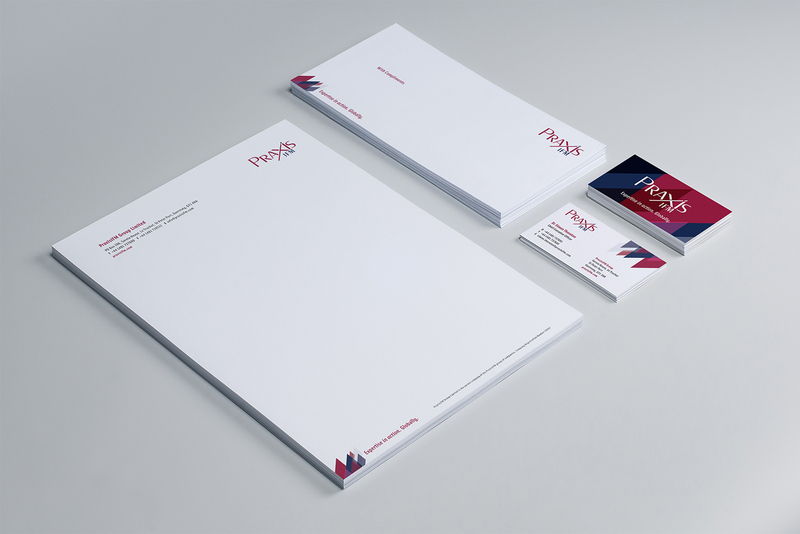 With the new corporate identity in place, we designed a full suite of stationery to complement the new brand including business cards, comp slips, folders and letterheads. In tandem with this, we also produced a new set of brand guidelines, a company manual used to ensure consistent visual communications and to show how to project the image, values and aspirations behind the new brand. 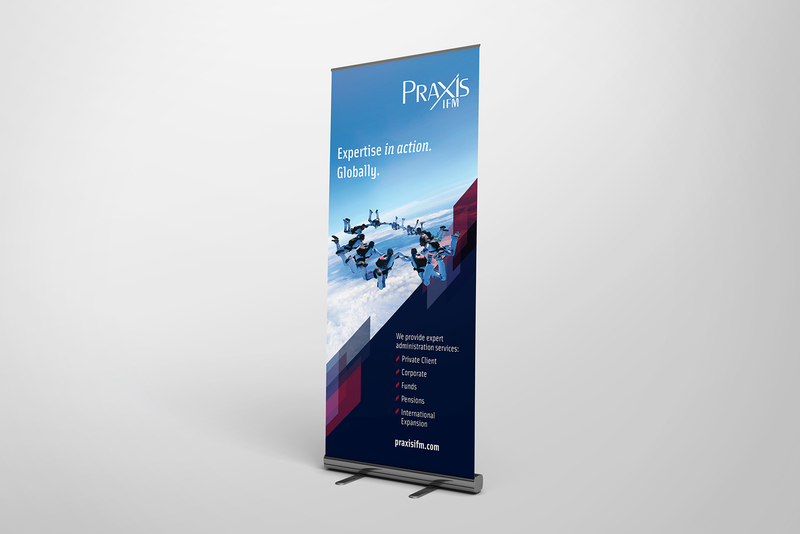 PraxisIFM are proud of their exceptional team and we wanted to push their people and expertise to the fore. We produced a photography brief for each jurisdiction across the globe to capture a collection of professional portrait shots for each team member. We received and processed over 100 photographs, each one meticulously cut out by our studio and placed onto a chosen background, all in the name of quality and consistency. 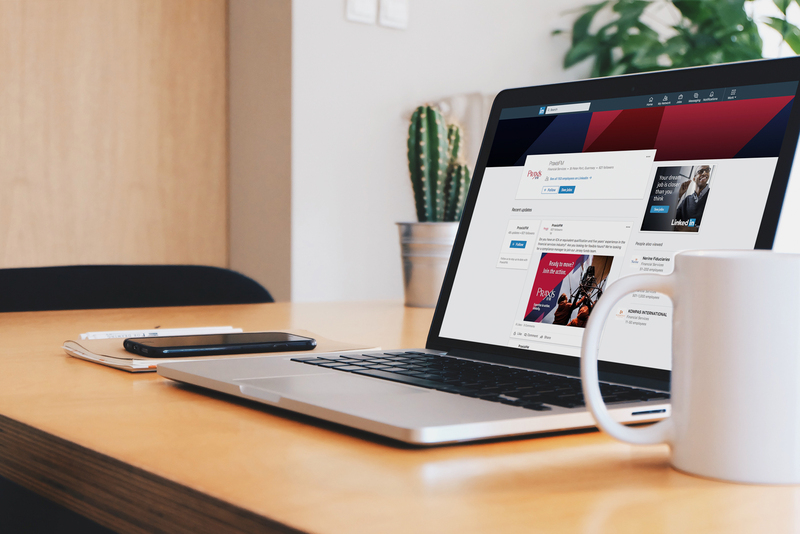 Tasked with designing and developing a new and fully responsive website, we used modern front-end development techniques to produce a slick, vibrant and functional user experience that connects with users and makes it easy to find, browse and digest content. 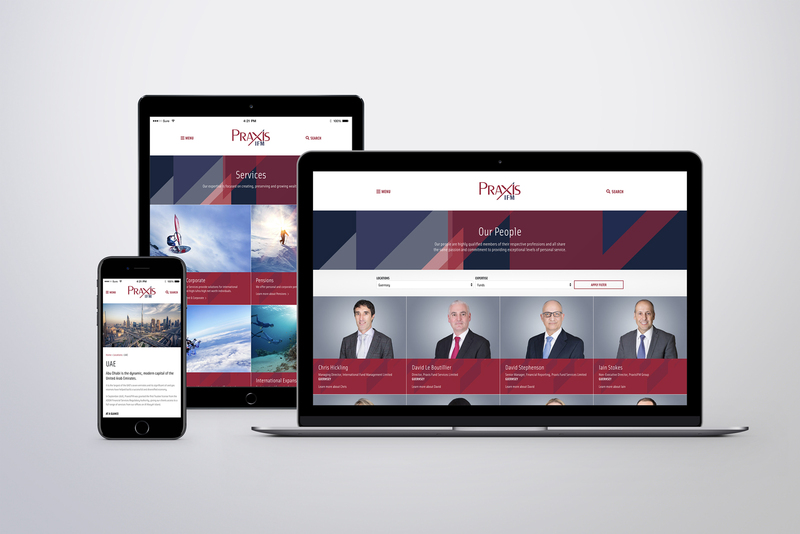 Behind the scenes, the new website is powered by WordPress and accompanied by a bespoke CMS interface making content management across the entire website quick, clean and simple. 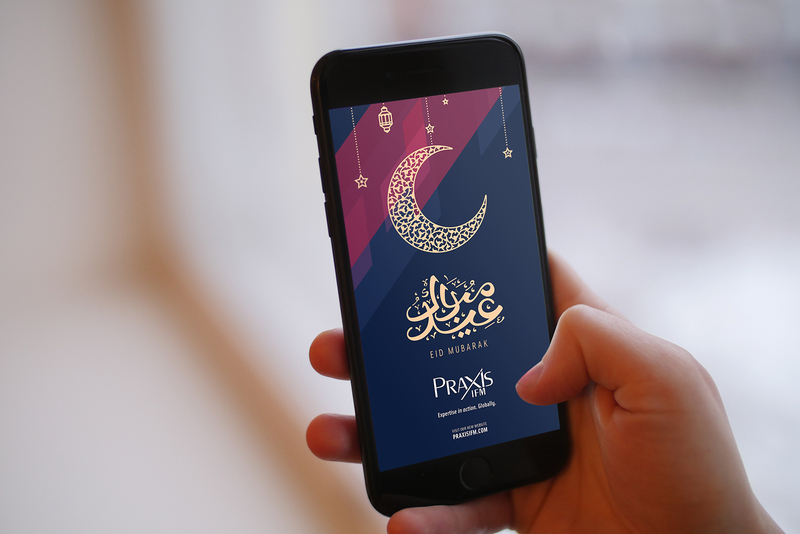 To support PraxisIFM’s new digital offering, we also produced an email newsletter template, social media artwork and email signatures. Since the rebrand launch we have continued to develop a wide range of print, marketing and digital collateral including advertisements, fact sheets, pitch documents, report and accounts and roller banners. Each piece of communication we produce continues to adhere to the consistency, quality and aspiration behind the brand. PraxisIFM’s story continues to unfold. It’s an evolving journey, a company that continues to grow and we couldn’t be happier being at their side during this exciting time in their history. 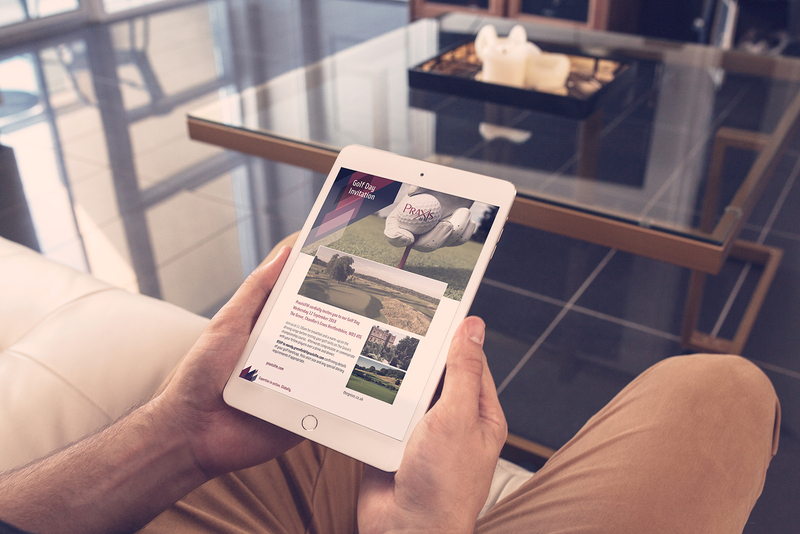 “Having won the pitch, the team at Hamilton Brooke really did commit to the rebrand project, going well above and beyond to make sure we kept to our tight deadline. 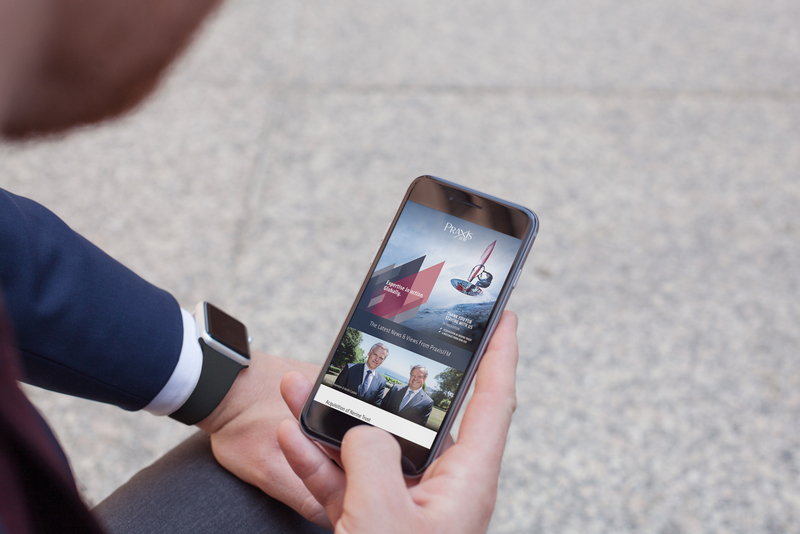 Our new brand and website launched just six months later and now truly reflects our Group ethos.